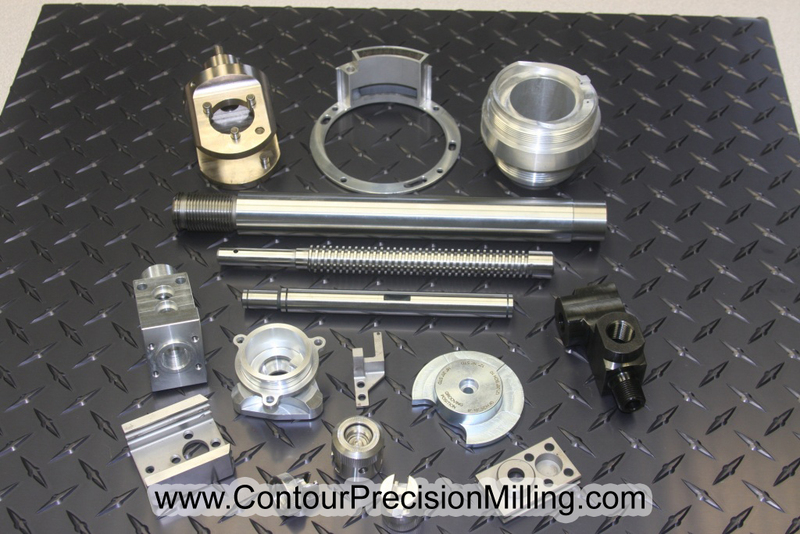 Contour’s CNC Precision Milling utilizes state of the art Mori Seiki and Hitachi Seiki Milling / Turning Centers to perform simple to complex turning / milling / threading / drilling / boring / tapping / knurling operations. The machining of castings and forgings is commonplace in our shop, as is starting with hot rolled and/or cold drawn material. Work holding is generally accomplished via 10” 3 jaw chucks. Work piece sizes range from less than 1” to about 12”, depending upon part configuration.